With Pippingford as the venue and trees as the theme this event is already onto a winning combination. 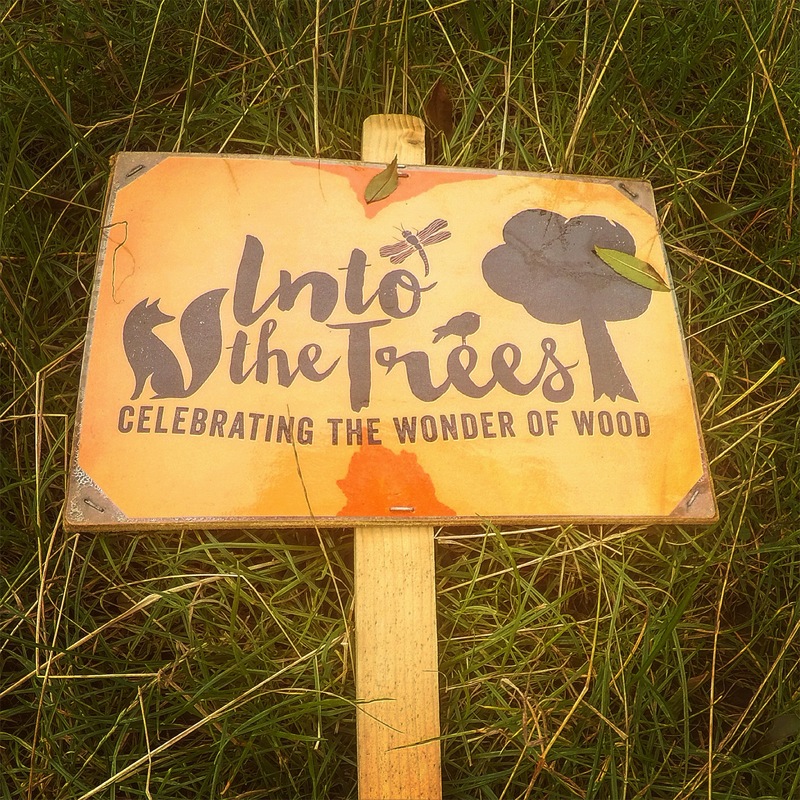 This is the second year the event has run with the aim of encouraging us all to play, work, learn and explore amongst the trees. 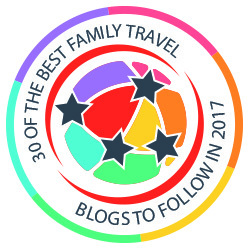 We were lucky enough to win a family ticket through their sister event Elderflower Fields, a family ticket would otherwise cost between £22-£26 depending on when the ticket was purchased. Pippingford embraces views over the Ashdown Forest, ancient woodland and herds of wild deer…. as you drive into Into the Trees you are hit with these beautiful views and the scene is set. We arrived early just after the venue opened at 10 am. There were staff welcoming us at the gate and no queues at all. Parking was in a field adjacent to the main entrance, again we were welcomed and guided to a space. I was on my own with 3 children; Leon 10, Daisy 6 and Logan 1. I was a bit nervous about accessibility with an infant in a pushchair but actually the whole site was relatively pushchair friendly, a welcome surprise! We were greeted one more time at the info desk at the front gate, again the staff were incredibly friendly and welcoming. 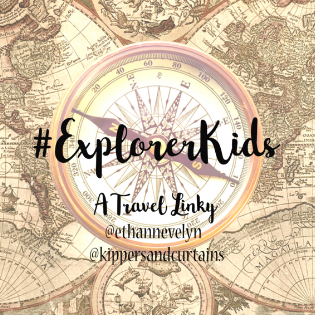 We were kitted up with wrist bands and a map and off we went to explore. 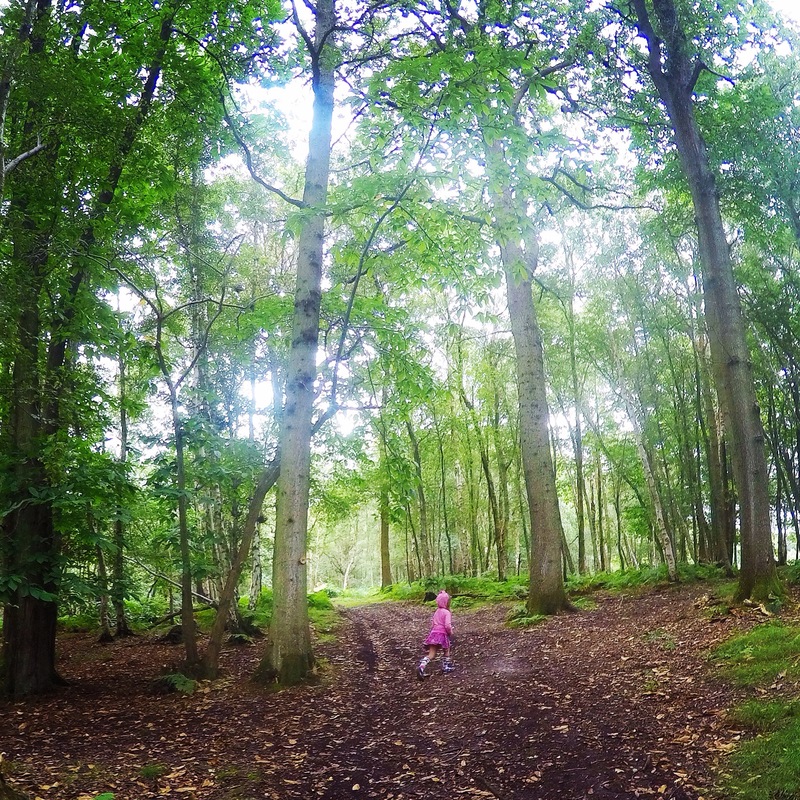 Our first port of call was with Sussex Wildlife Trust in the woods. 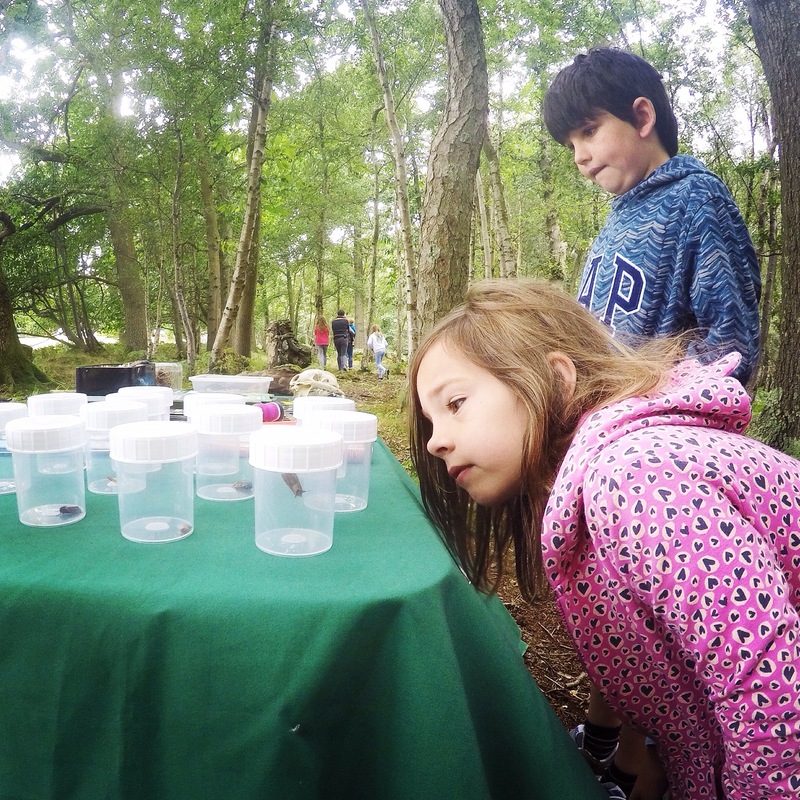 They had a number of activities going on including observing and releasing mammals they had caught in traps. The children were fascinated to see the reality of what actually lives in the woodland right under their noses. They allowed one of the woodland mice to be observed up close in a transparent container…the poor mouse was a very patient little thing allowing all the members of our group to stroke and coo over him. Daisy spent a long time observing the wide variety of moths and mini beasts on display in their sample pots. We were also excited to be allowed to touch and stroke an owl’s wing and a fox’s skull. This was a really enjoyable, informative and educational experience for all of us. We moved on through the woods to the Woodland Tribe area. This is absolute wild child heaven! 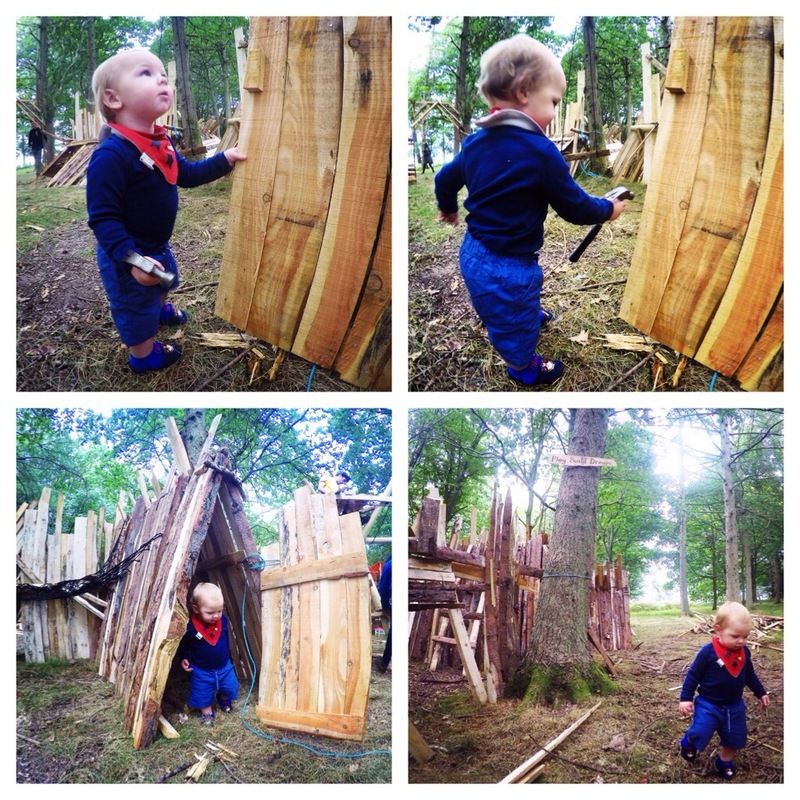 Sticks, rope swings, tight rope walking, hammers, nails, dens, mud……proper old skool outdoor play. My kids, particularly Daisy were in their element here. All the activities we tried were free and again we were welcomed by the friendly staff with open arms. Official members of the Woodland Tribe! We began by exploring the build your own play area. Here my 1 year old son was handed a hammer and I was told ‘never too young!’ Was I wrong to be engulfed in a complete sense of panic and an overwhelming desire to rip it out of his hand? Against my better judgement I went with the flow and let Logan tap his little hammer against the splinter ridden wood…he was clearly in his absolute element. 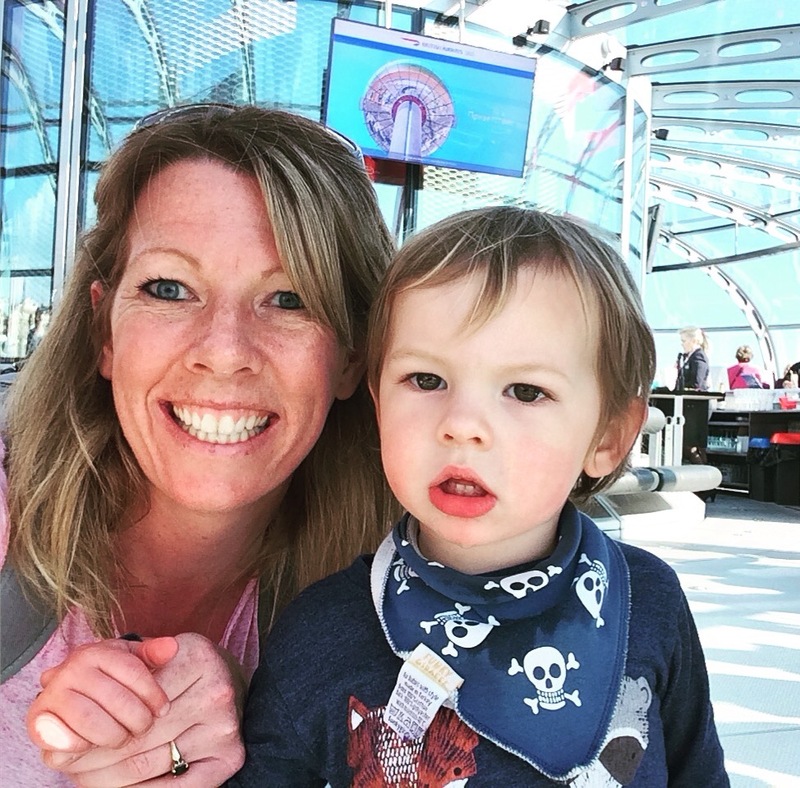 Keeping a very close eye on him I wondered whether maybe I should let my baby take more risks to allow him to learn and explore? Having said that I breathed a massive sigh of relief when he was briefly distracted and dropped the hammer moving onto the next potential hazard of choice…! Let loose with a hammer….yikes! 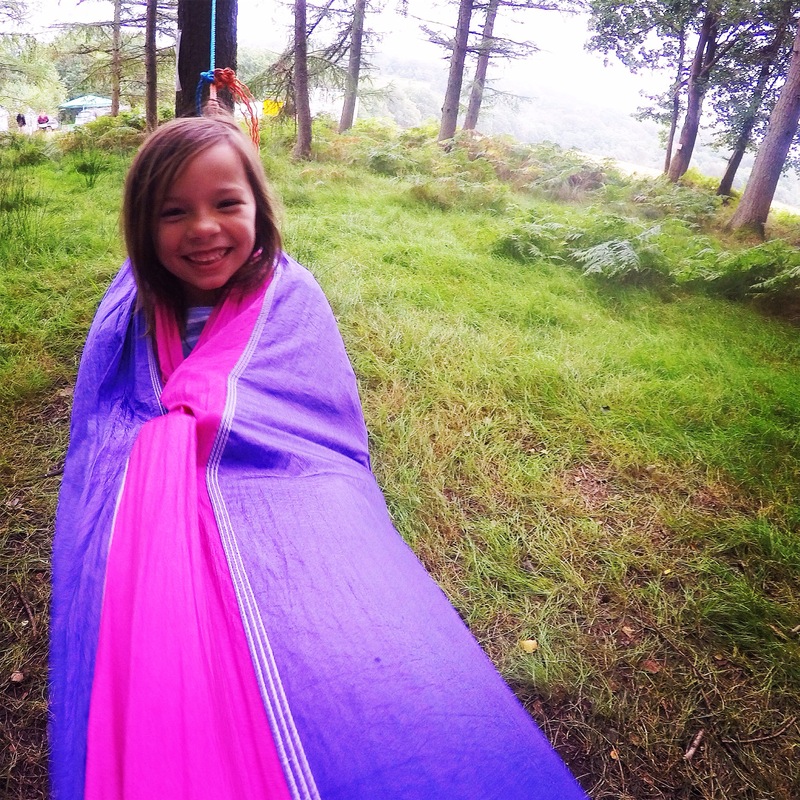 Daisy was fascinated with the Slacklining activities. 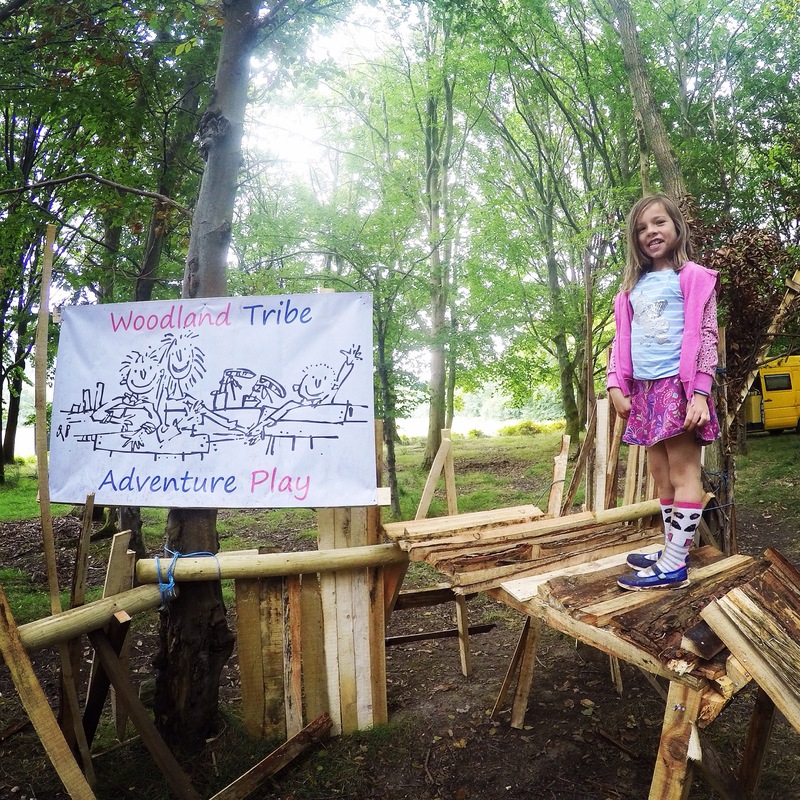 She can be quite reserved and cautious about trying new activities but there was a vibe at Into the Trees that made her feel like it was okay to experiment. 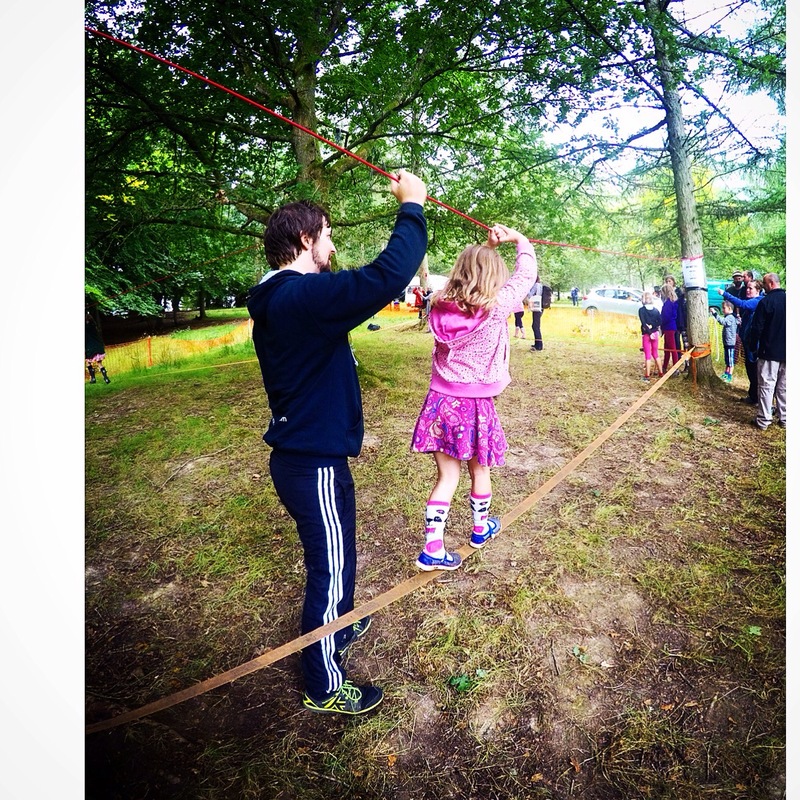 Again, another helpful and engaging member of staff welcomed her on her turn to walk across the slack line. She was thrilled to complete the first line successfully and continued around the course to complete a further 4 lines unaided. What a great opportunity to try new activities. Good on her! 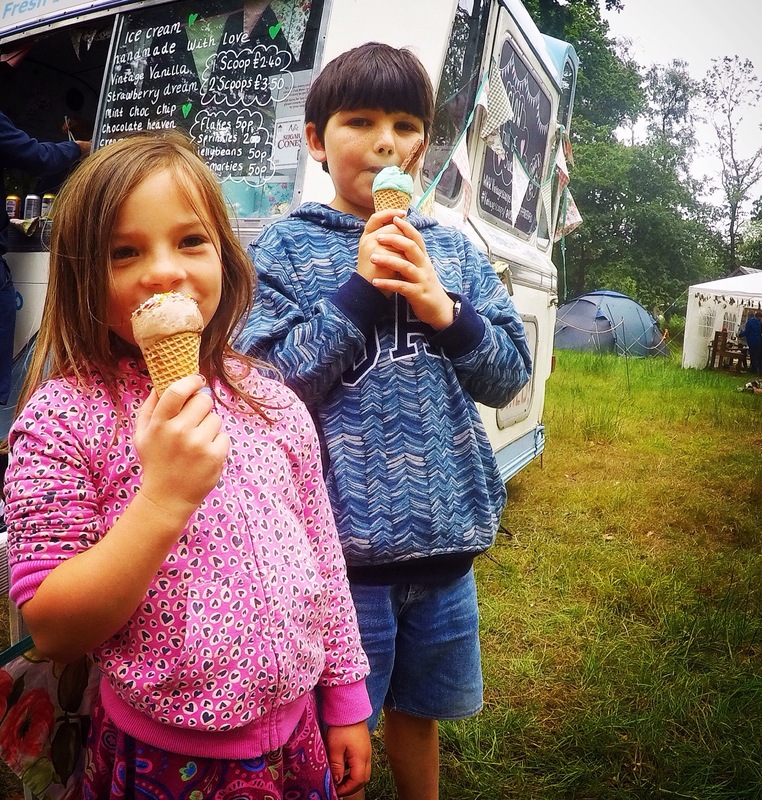 The event is also a great dining experience with a fantastic range of pop up dining; the Pizza Wagon, Veggie Love bites, Wildside cafe and bar and most importantly Vintage Scoops ice cream parlour! 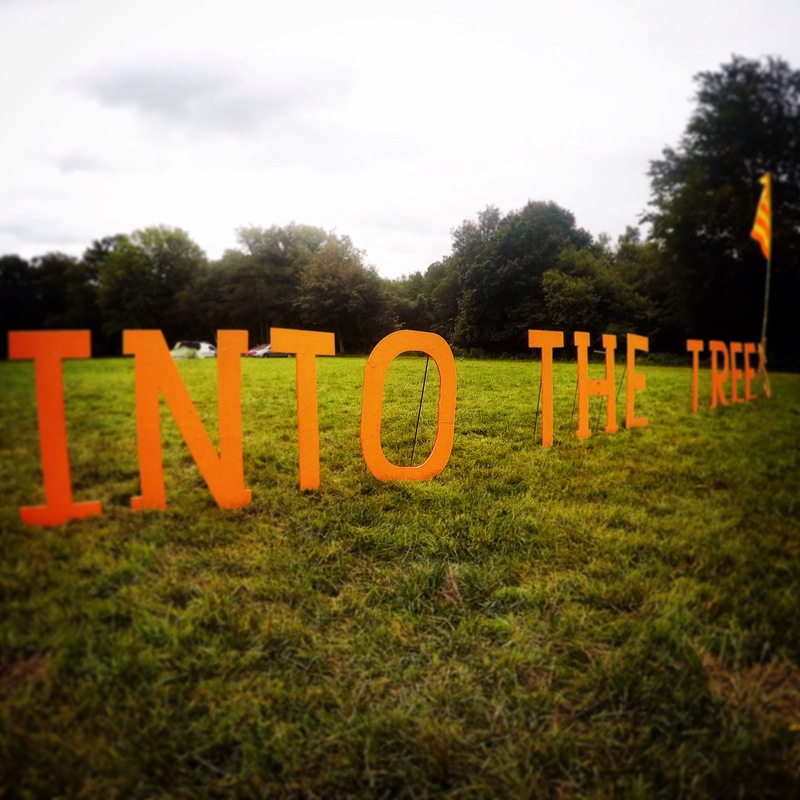 Into the trees embraces adventure, nature and exploration. 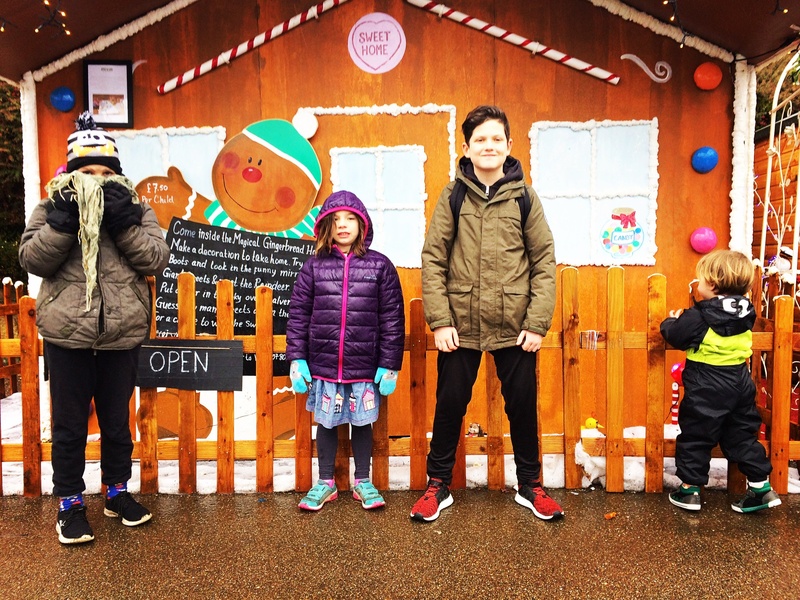 I found it therapeutic to be reminded of a type of play that perhaps my children don’t engage with as often as they should, even if I WAS taken out of my parental comfort zone. The kids are exhausted and filthy this evening but they’ve been raving about their day…and boy will they sleep well tonight!